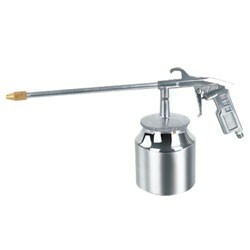 cheap washing gun high quality manufacturer base on competitive price from china tools exporter. Aluminum body gun with polished aluminum cup. 2 pcs in one color box. Washing Gun 187010: Aluminum body gun with polished aluminum cup. 1/4" inlet thread size. Cartons Measurement: 58.5x44.5x44.5 2 pcs in one color box.